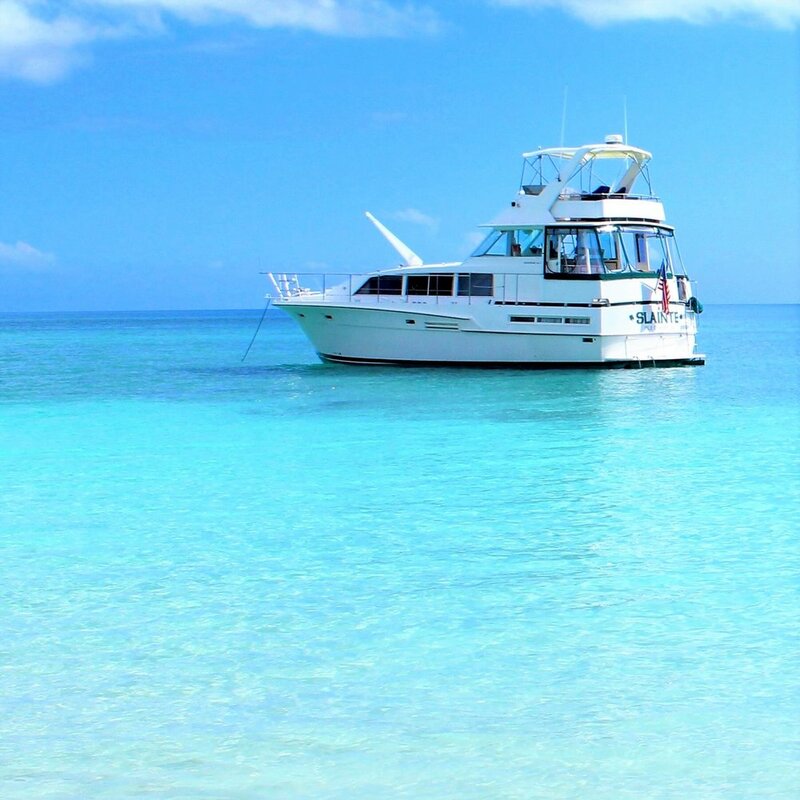 Step aboard this spacious yacht moored at the Ocean Reef Yacht Club & Resort, in Freeport -Grand Bahama Island. 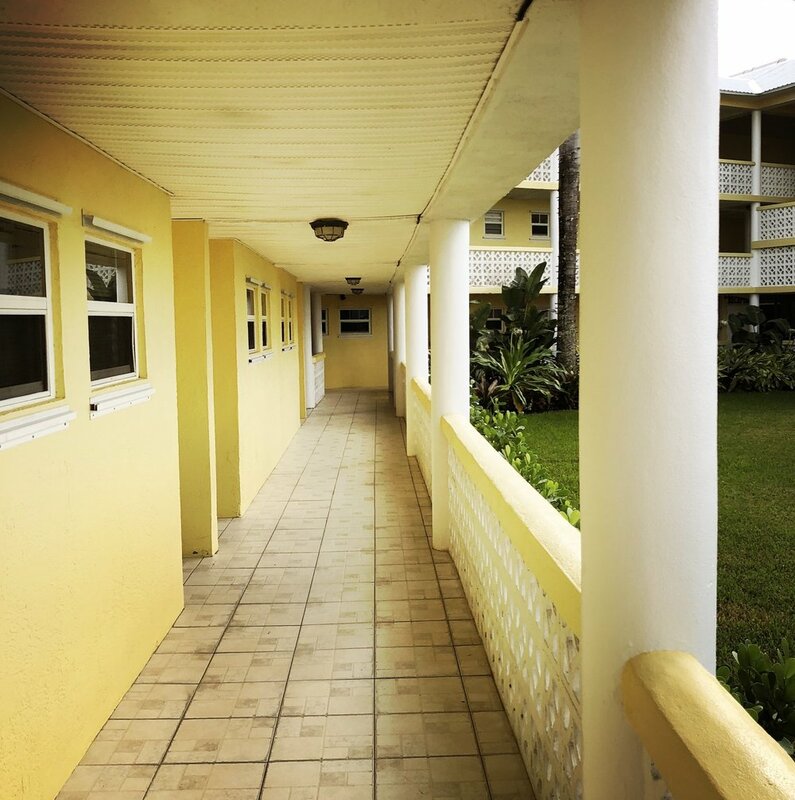 We promise you’ll feel instantly at home! 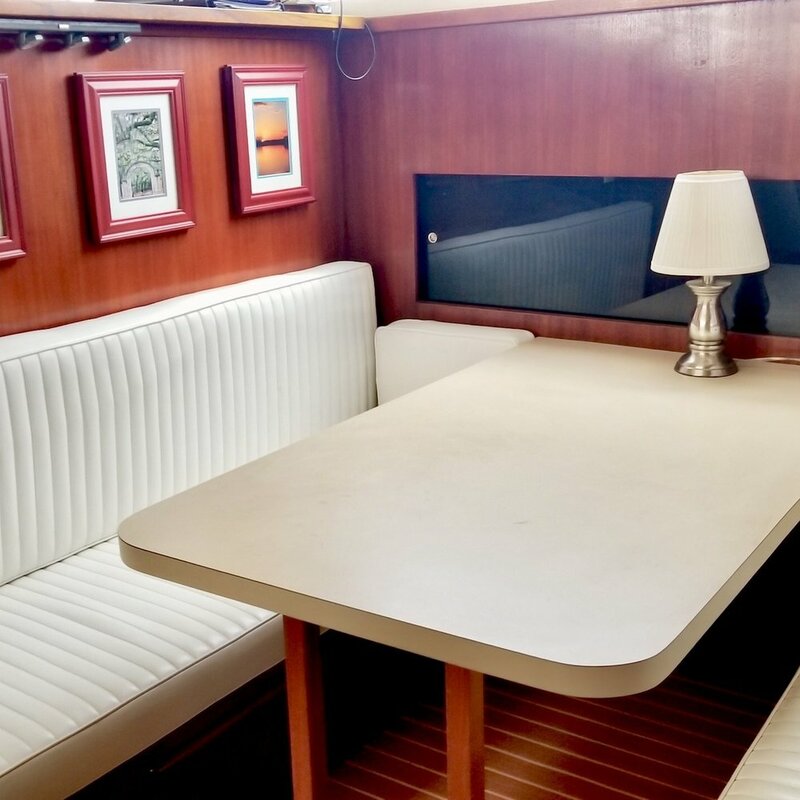 The interior of this boat has been tastefully decorated with classic teak woodwork, leather furniture, and original art. A fully furnished kitchen, and dinette is especially inviting for the chef in your group. Two staterooms below deck (one Aft Cabin, and the V-Berth Cabin) can comfortably accommodate 4 guests. 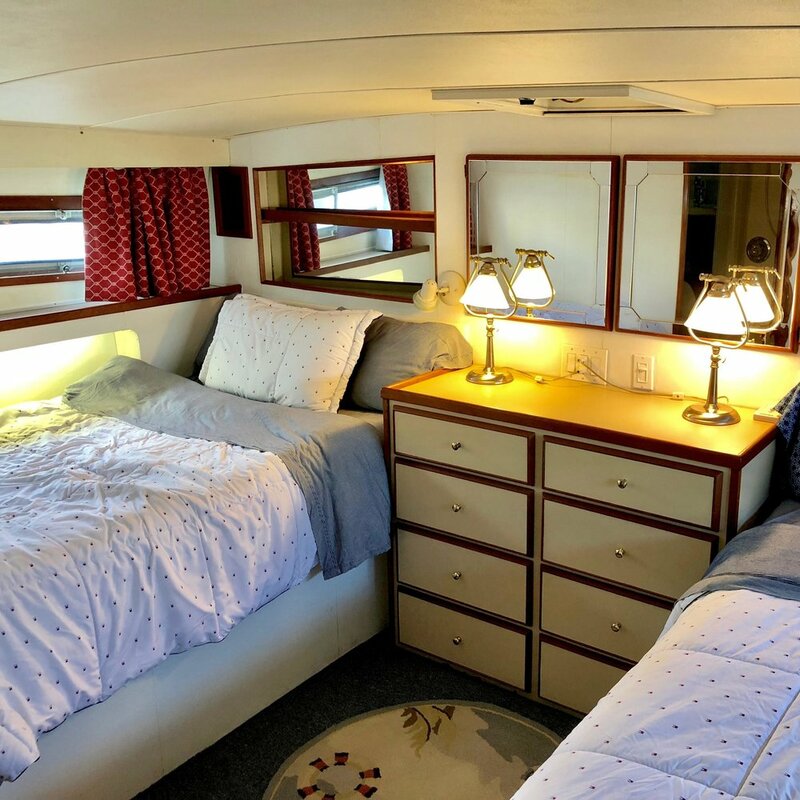 The Aft Cabin is furnished with two full-size beds, the V-Berth cabin has two twin beds. Each stateroom has its own private bathroom, outfitted with shower, vanity and mirrors. Relax in the spacious common areas both inside and out – the furnished back-deck overlooks the pool and is a great spot to watch the sunset and enjoy a cocktail. Experienced guests will also have use of the dinghy, to go on short excursions to the ocean inlet, with its beautiful white sandy beaches. Thank you! We hope you enjoyed your stay on YACHT SLAINTE!